Meticulously maintained w/ 360* seasonal mountain views. Hiking distance to Wolf Mt. Winery & others in close driving/biking distance. Gorgeously landscaped w/ Dogwoods, Azaleas & more! 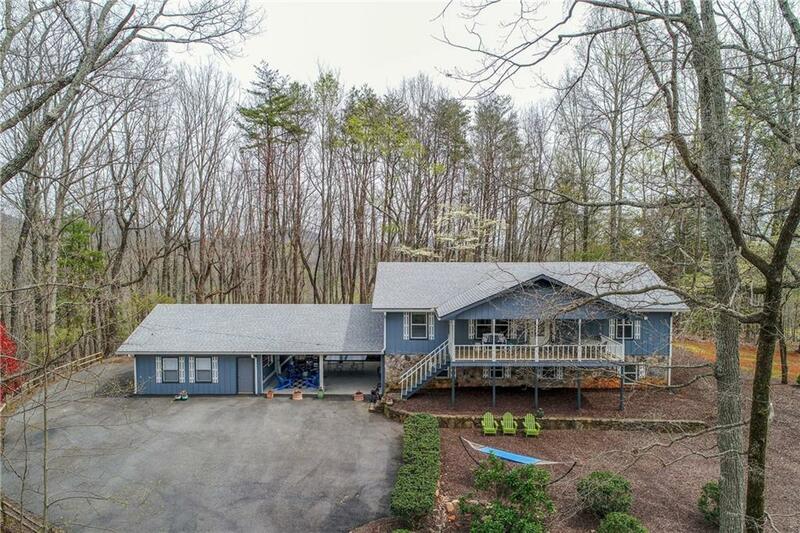 Endless features include spacious open floor plan, master suite on main, hardwoods upstairs, fab terrace lvl w/ full kitchen, neat breezeway btwn house & garage for addtl' flex space, big front porch + screened back porch. Mins to Dahlonega fests, dining, & UNG campus. Perfect for hosting guests or VRBO/rentals. All furnishings available for addtl' purchase. Renovated & new roof in 2017! Directions: From Ga 400n - Continue On 19/Ga400 Through Dawsonville. Left To Stay On 19n. Right On Orchard Hill Rd - Home On Left.